Whiplash is one of the most common injuries sustained in auto accidents; however, you don’t need to be involved in an auto injury to get whiplash. Whiplash occurs when the neck is suddenly jolted forward and backward, backward and forward, or side to side. This abrupt whipping motion causes the supportive soft tissues (muscles, ligaments and tendons) of the neck and head to flex and extend suddenly. This rapid, jarring motion affects the spine and supportive soft tissue structures including the discs and nerve roots. Whiplash is often characterized as a mild to severe neck sprain/strain that can cause a number of associated symptoms in the days to months after an injury. Symptoms of whiplash typically develop within the first 24 to 48 hours of an injury, but these symptoms can also be slow to develop, which is why whiplash is often referred to as a “hidden injury.” While whiplash is generally classified as an acute neck injury that is treatable, studies show that it can lead to long-term pain and symptoms. Whiplash is one of the most common injuries sustained in auto accidents; however, you don’t not need to be involved in an auto injury to get whiplash. Whiplash occurs when the neck is suddenly jolted forward and backward, backward and forward, or side to side. This abrupt whipping motion causes the supportive soft tissues (muscles, ligaments, and tendons) of the neck and head to flex and extend suddenly. This rapid, jarring motion affects the spine and supportive soft tissue structures including the discs and nerve roots. Whiplash is often characterized as a mild to severe neck sprain/strain that can cause a number of associated symptoms in the days to months after an injury. Symptoms of whiplash typically develop within the first 24 to 48 hours of an injury, but these symptoms can also be slow to develop, which is why whiplash is often referred to as a “hidden injury.” While whiplash is generally classified as an acute neck injury that is treatable, studies show that it can lead to long-term pain and symptoms. Whiplash affects the cervical spine but can also cause pain and discomfort in the head, shoulders, upper back, and mid back. Muscle and joint pain in the neck, upper back, shoulders and sometimes arms. What Causes Whiplash To occur? 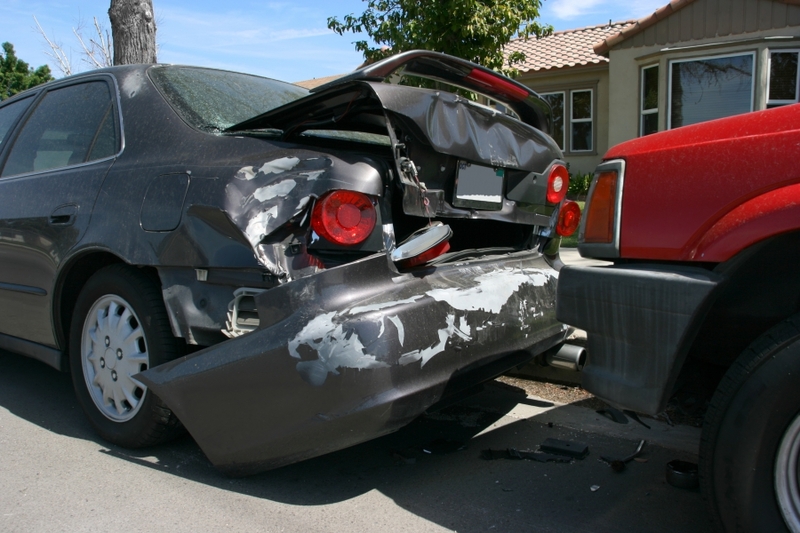 While whiplash is commonly caused by auto accidents, whiplash can occur from a number of causes. Auto accidents - Whiplash is often caused by rear-end collisions, however, this neck injury can also occur in front-end and side collisions. Keep in mind that whiplash happens as the result of low-speed auto collisions when vehicles collide at speeds as low as five to ten miles an hour. 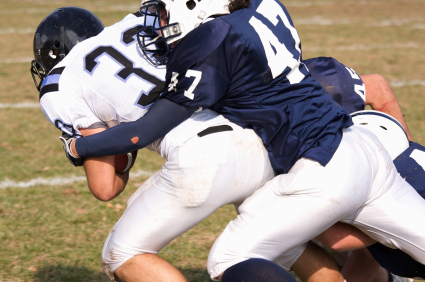 Contact sports - Sports and athletics can also cause whiplash injuries. Contact sports such as football, basketball, hockey, as well as other high-intensity sports often resulting in person-to-person collisions. This can cause the neck to snap back-and-forth and side-to-side, causing sudden flexion and extension in the neck, head, and upper back soft tissues. Personal injuries - Participating in recreational activities outdoors or riding recreational vehicles can also cause whiplash injuries. Slip and fall accidents can often cause mild to moderate whiplash pain. Because whiplash injuries involve both the hard and soft tissues in the neck and back, chiropractic care is one of the most effective, non-invasive whiplash treatments. Acupuncture and massage therapy are also effective treatments for whiplash injuries and compliment chiropractic treatments. Your chiropractor near Overland Park will meet with you to discuss the cause of your whiplash injury, your injury history, and health history. Because whiplash is a neck injury, they may order diagnostic studies such as X-rays and MRIs to gain a complete understanding of your injury. These radiological images can help them accurately diagnose your whiplash injury and the severity of your injury, which will help them determine an individualized injury treatment plan for you. Fortunately, we offer in-house radiology, which you can learn more about by following this link. At Adjust Your Health, we apply gentle chiropractic treatments that do not involve twisting. Applying gentle and controlled chiropractic care can restore proper nerve function to reduce your neck and back pain, alleviate tension and stress, and ease inflammation. Gentle chiropractic care is a safe and effective alternative treatment to surgery and the use of prescription drugs. What’s more, chiropractic treatments improve nerve function which assists you body’s natural ability to heal itself, which can speed up your injury recovery time. Chiropractic care compliments other alternative and medical treatments like acupuncture, massage therapy, and physical therapy. Dr. Christina will also take into account your health and lifestyle to offer nutritional advice, exercise, and stretching for self-care that can enhance your chiropractic treatments and boost your overall health and wellness to aid in your whiplash recovery. Here at Adjust Your Health, we take a collaborative approach to healing. Our chiropractor and massage therapist work hand-in-hand to determine the best treatment plan that matches your specific needs and injuries. Coordinating your gentle chiropractic treatments in conjunction with your medical massage treatments can help you manage your neck pain while also addressing the cause of your pain so that you can heal more efficiently. Contact us to to learn more about our massage therapy treatments or follow this link to our Massage Therapy page. At Adjust Your Health Chiropractic, we provide needle-free electro-acupuncture that involves the use of focused pulsating electrical currents that are applied to specific points on the body. Acupuncture can alleviate the symptoms associated with whiplash injuries while reducing pain. 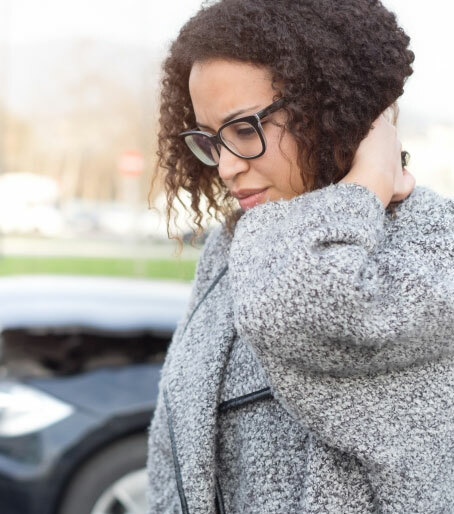 If you have been involved in an auto collision, suffered a sports injury resulting in neck pain, or have sustained another injury that is causing pain in your neck, you will want to seek treatment immediately. Contact our chiropractor to schedule a consultation to discuss your neck injury and begin whiplash treatment. We are here to get you on the path to health so that you can get back to doing the things you love most. Call Adjust Your Health Chiropractic today or reach out to us online to schedule an appointment for gentle chiropractic care, massage therapy, and acupuncture treatments.